I'm looking for some advice. I have what I am assuming is transformer hum coming from my audio components. It's most prominently heard from my DAC (Lampizator Atlantic) though can also be heard from my amp (Classe CAP-2100) as well as a linear PSU (HDPlex). I would describe the noise as a low pitched buzz or hum. It emanates from the components and is not heard through the speakers. The hum is present in the components even if everything is disconnected apart from the power cord. No hum when powered off. It's noticeable from the listening spot which is around 3-4 metres away. It doesn't seem to vary. It is present in the middle of the night also. I have tried different sockets in my house with no changes to the hum. I have not yet tried sockets outside my house but I will in a day or two. I recently returned the DAC for testing and was assured that when tested there was no audible hum at all. I have read into this to some degree but electronics is not my field. I have tried 2 different DC blockers (MCRU and ATL Hifi) and neither produced an audible difference. I also use a power conditioner (Audience AR4) but this has no effect on this noise. Any insights or help here would be greatly appreciated. We can’ t reconstruct an AC signal with passive components and every tentative of filtering is pointless if you don’t know what you are facing of. You should try to fin a portable scope in order to analyse the AC signal. Sounds to me like the laminations in a transformer have deteriorated and it's allowing the plates to mechanically move. This produces a 50Hz/60Hz hum. It's a fairly common issue among older gear. Unfortunately there no easy solution. If it has an external power supply you can replace that, however since you said that it "emanates from the components" I would say that they have internal power supplies. What I do (because I found i quite distracting), is position my equipment far enough away that I can't hear it or put it in a case or a rack. However, if anyone has a suggestion to resolve transformer hum, I'll be happy to hear it. I'd replace transformers, if you have some basic soldering skills the replacement on old stuff is fairly simple, since the stuff is big enough to be seen by naked eye. I have what I am assuming is transformer hum coming from my audio components. It's most prominently heard from my DAC (Lampizator Atlantic) though can also be heard from my amp (Classe CAP-2100) as well as a linear PSU (HDPlex). An obvious solution is to replace all of the iron transformer power supplies in the acoustically humming components with switchmode power supplies. They may still produce acoustic noise at the frequency of the current in their power transformers, but now that noise will be above 20 KHz. Many thanks for these helpful replies. No joke: do you still hear the "hum" with everything unplugged from wall power? If not, plug in each component independently until you find the culprit. My experience with this issue is that you'll need to find a quieter brand/model. If not, plug in each component sequentially until you find the culprit. My experience with this issue is that you'll need to find a quieter brand/model. When you say "everything", are you referring to my audio equipment, or everything in the house? If the former, then as stated above there is no hum when the unit is not powered on. If the latter, then no I have not tried this yet - would you recommend that I do so? And regarding your final sentence, as stated above, the brand/model is quiet as tested elsewhere - the hum seems to be at my property. I am going to try and plus it in elsewhere to to check. They were probably checking for electrical/signal hum ("through the speakers"). The mechanical/acoustical hum might be normal for that unit because either they didn't notice it, or they don't consider it defective. They were checking for mechanical hum, as the problem is a hum from the machine itself and not from the speakers. The hum is not considered normal, as the unit was completely silent in their tests (and appears to be for most other owners too). How is the HDPlex employed in your system? Is the problem there with the PC and power supply off and unplugged from the wall? How about removed from the room? The problem persists when I take the DAC upstairs and plug it into a power socket in the bedroom. As a test, I turned off the PC and LPSU and unplugged the LPSU - the hum remains. One other thing maybe worth mentioning - when I first turn the DAC no, the hum is a lot louder for around 1 second before it reduces to the usual level. Don't know if this is of relevance. That's normal but has a different cause- the core was magnetized from the last time it was on, and the core saturated until the AC degaussed it. The DAC uses a toroid transformer. So does the Classe. Toroidal cores can easily saturate, and when they do, they become mechanically noisy. The most common cause of continuous noise (both units are normally silent, so we can ignore 'cheap transformers' as a cause) is something called 'DC on the line' and is an asymmetry in the AC power waveform. Usually this is caused by a space heater or the like running on half power- and so is only drawing power on half of the AC power waveform. This does not have to be happening in your house- it might be the house across the street- any house that might be on the same line transformer that is on a telephone pole somewhere near you. You certainly don't have to run switch mode power supplies! There is a solution which is inexpensive. You use something called a 'DC blocker' and I have to say I'm surprised that no-one mentioned it earlier! A DC blocker is a rectifier pack whose individual rectifiers are bypassed by electrolytic caps. The caps conduct forward biased when the rectifiers are reverse biased (as they might be when DC is present); the caps are thus providing a bypass around the rectifiers. Now Classe amps often have this circuit installed, but if the caps on it have failed then you have a problem. OTOH not all the models got this treatment, if you have an early Classe this might be the case. Take the DAC across town to a friend's house and see if it has the same problem there. ^^ no need- that is the problem. You need a scope and and some expertise in AC signal analysis. Trying to solve a problem without seeing it will drive your mind into madness, you will experiment millions of theories and your problem will stay the same. PS: Your toroidal transformer is a solid ferrite core with copper windings around it and theses kind of transformers are as impacted by magnetic flux anomalies as other types. Terefore they vibrate as well, all transfomers should be mechanically decoupled in order to avoid sad noises but commercial products are not... design flaw. There is a solution which is inexpensive. You use something called a 'DC blocker' and I have to say I'm surprised that no-one mentioned it earlier! Many thanks for the reply Atmasphere. But did you read my original post? I have already tried 2 different DC blockers (from MCRU and ATL Hifi), and neither worked. I suppose that perhaps the problem could still be DC, but I'm not sure. Any advice? We don’t read posts here. We just reply with verbose responses to inflate our egos. If the sound is coming from the unit, and not through the audio path, it is the transformer inside. It’s not what you want to hear but that’s all there is. Move it somewhere you can’t hear it or get your soldering skills up to scratch and replace it. Funkstar - I don't think that there is anything wrong with the transformer per se, as it was tested at the manufacturers and there was no hum there. It has been stated that DC offset tends to cause transformer hum so I would like to cure that to see if it is the culprit. Borrow or rent an isolation transformer, as used on construction sites etc. Try a shop that rents construction equipment (wheelbarrows, concrete mixers etc). They come in various sizes, 1 kW should be more than enough. It apparentely seems to be an accurate blind shot, but if you need an isolation transformer you’d better go to your local shop and buy an APC Line-R 1200VA. It cost around 70€ and there is a 1K isolation transformer inside. Will it solve the problem ? The hum in power transformers has three sources. One source of transformer hum is ordinary magnetism or paramagnetism or ferromagnetism (different words for similar things related to atomic electron shell composition). Ferromagnetism is common in ferrous alloys, that is those that contain iron. Transformers are composed of laminated magnetic (iron-alloy or steel) cores for efficiency. The laminations magnetically attract each other when peak current is flowing through the transformer. They are only mechanically attached to each other when no current flows through them. Courtesy of the power line, the current through the transformer goes through peaks and zero twice per power line cycle at 50 or 60 Hz. The application and relaxation of magnetic attraction of the laminations, causing rattling by vibrating against each other is resisted by dipping the transformer into a polymer or varnish which hardens and glues the laminations together, hopefully. Loose laminations can be caused by poor production techniques, poor materials, or wear and tear including heat. Note that tiny amounts of acoustic noise from this source are impossible to eliminate, they can only be reduced. For a graphic example of this, find a power substation where the transformers are large, accessible by the public and heavily loaded. Another source is diamagnetism which is again caused by atomic electron shell composition, but is prevalent in non-magnetic metals such as aluminum and copper. Diamagnetic materials commonly repel under the same conditions that ferrous materials attract. The third source of mechanical noise in transformers is called magnetostriction. It is a common property of magnetic materials to change size and shape in a varying magnetic field. So, it may look like an inert lump, but a transformer is with power applied is actually very dynamic, with the iron core laminations, microscopically changing size, shape, and juxtapositioning, and the copper or aluminum windings reacting to the same varying magnetic field in opposite ways. Totally silent transformers are therefore impossible, so this problem like so many problems in audio is just a matter of degree. The obvious way to reduce the perceptibility of these problems is to raise the frequency of the power that is being handled by the transformer. Transformers that are solidly encapsulated in a block of polymer and/or sealed in a metal housing can help. My comment about switchmode power supplies is actually not facetious at all. Furthermore, the ineffectiveness of human hearing at ultrasonic or even high sonic frequencies (e.g. 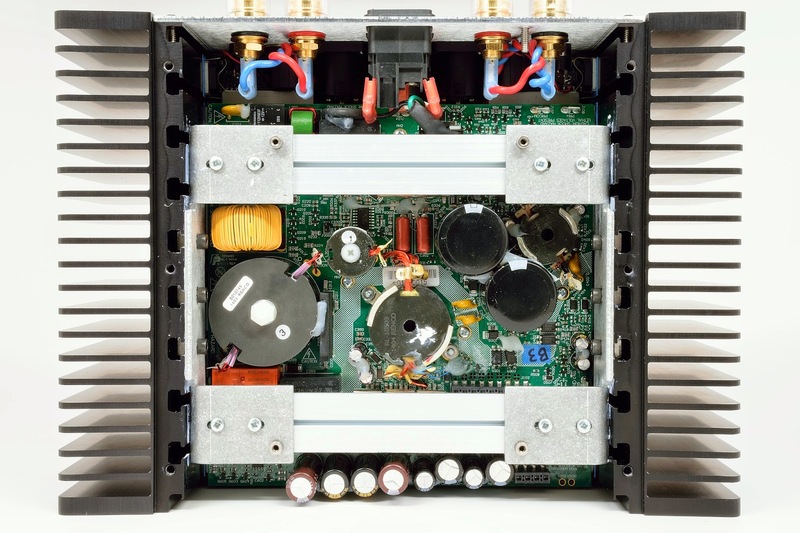 noisy 15,575 kHz transformers and deflection yokes in NTSC TVs) can be observed from the fact that these and switchmode power supplies, potentially generating tons of acoustic noise at high sonic and ultrasonic frequencies, are generally well-tolerated by humans. Considering that DAC uses tubes for some reason, powering it with a switch mode power supply might be considered heresy by those who feel having vacuum tubes in a DAC is a good idea in the first place. Besides direct sound radiation from a vibrating transformer or other inductor, there might also be some mechanical resonance going on where the case and/or circuit board is vibrating in response to a transformer. You might try pressing on the case in different spots (including the bottom) when it's on to see if it has any effect.